Impact NW is pleased to reveal an exciting new project for manufacturing, tinkering, and inventing enthusiasts. 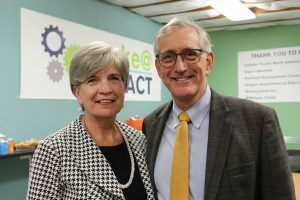 s had the opportunity to meet Impact NW’s Pathways to Manufacturing Program students, see the brand new manufacturing equipment, and learn more about the future of this program. 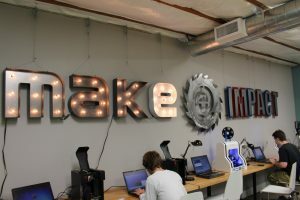 Thanks to generous financial donations from our supporters including Vigor Industrial, Daimler Trucks North America, Prosper Portland and many more, this makerspace lab has been designed to host workshops and open learning lab hours for Pathways to Manufacturing students.